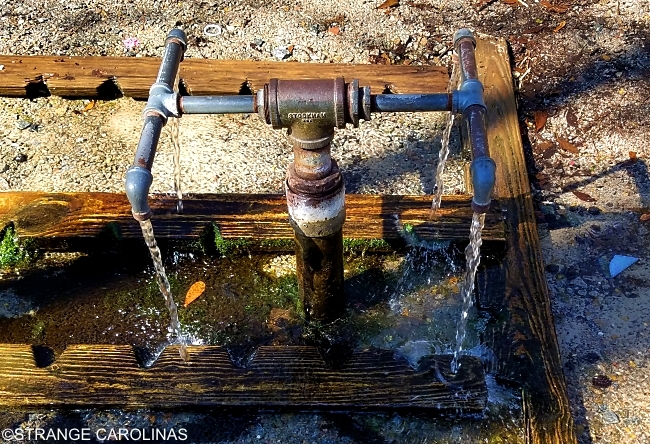 In Blackville, South Carolina, at the bend of a V-shaped road, you'll find God's Acre Healing Springs. 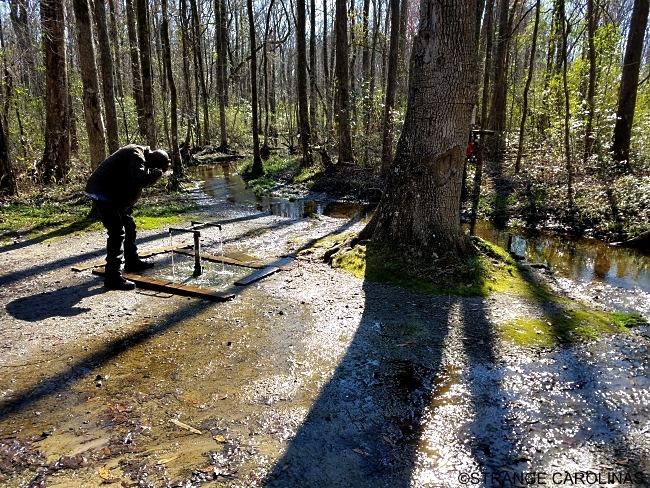 People come from hundreds of miles away to fill jugs with the water from the spring, claiming it possesses healing powers. Not only that, the land and spring belong to God. 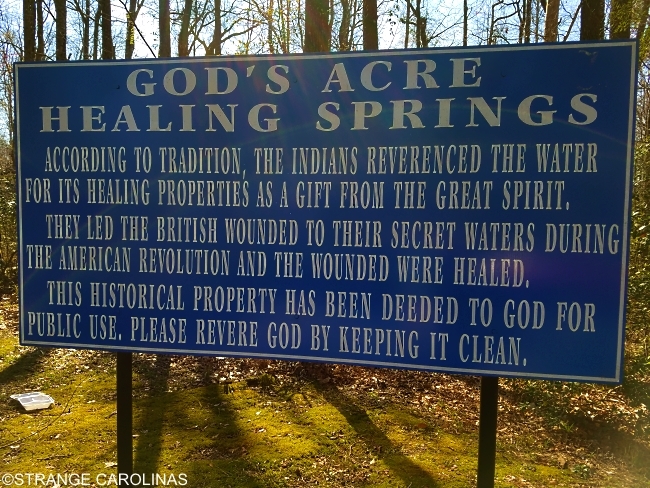 By tradition, Healing Springs got its name during the Revolutionary War. In 1781 after a bloody battle at nearby Windy Hill Creek, four wounded Tories sent inland from Charleston by General Banastre "The Butcher" Tarleton were left in the care of two comrades who had orders to bury them when they died. Luckily, Native Americans found them and took them to their secret, sacred, healing springs. Six months later the Charleston Garrison was astonished by the reappearance of the six men. All were strong and healthy. 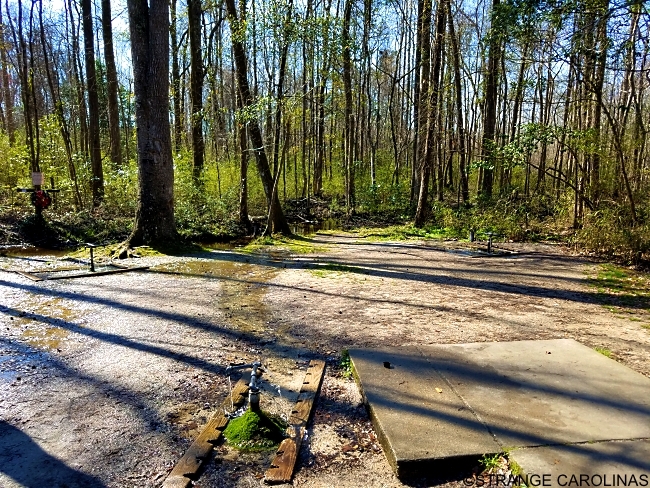 Ownership of the springs passed from the native "Indian" tribes who revered them to an Indian trader, Nathaniel Walker, who bought them with corn. The site passed through several hands until it was acquired by L.P. Boylston. On July 21, 1944, he deeded the land and springs to GOD. The waters by analysis are exceptionally pure and contain healthful minerals. 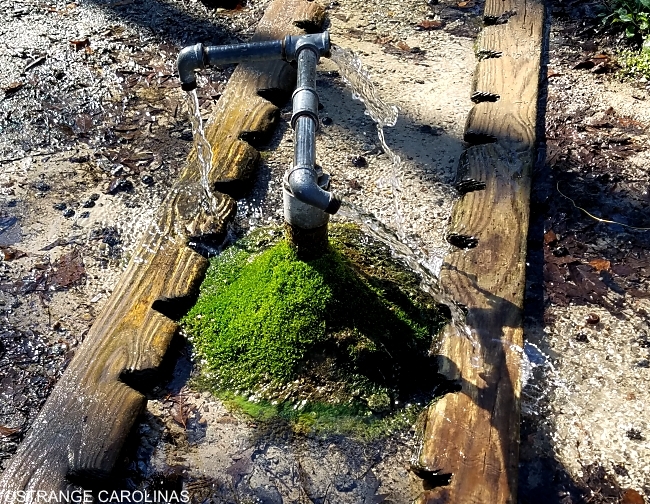 People today, as in the past, believe they truly are Healing Springs. Of course, I had to try some. I was hoping for superhero strength, the ability to jump over buildings, or, at the very least, to improve my vision so I don't have to wear these dollar-store reading glasses anymore.